If we must enter into the ark of protection provided by our Mother, what will happen to Protestants and Jews? I know many Catholics, priests as well, who reject the whole idea of entering the "ark of protection" Mary is offering us—but we don’t reject her out of hand as other denominations do. If her pleas are falling on deaf ears in the Catholic hierarchy and much of the laity, what about those that don’t know her at all? 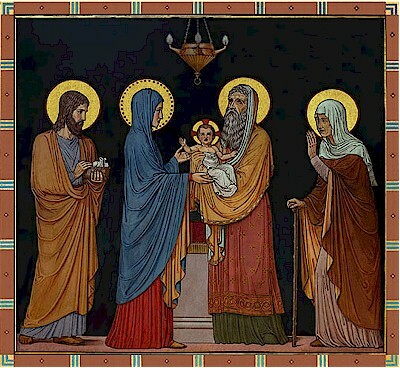 To answer your question, it is necessary to begin by pointing out that Scripture actually provides the biggest "case" for Mary—a role which is strengthened by the esteem and devotion the early Church had for this Mother, and which remains until this very day (though I would like to say that Mary is not a case to be won, but a revelation to be understood). I will refer you to my writing Triumph of Mary, Triumph of the Church for a biblical look at her role in these times. In the womb, a child is virtually unaware that he is within his mother. After birth, his mother is, at first, simply a trusted source of food and comfort. But later, as the child develops his relationship with her, he begins to understand this person is more than a mere dispenser, but that there is also a bond which is unique. Then, comes an understanding that there is even a physiological relationship. Scripture teaches us that Christ is the firstborn of all creation, not just of those who have come to believe. And He was born of Mary, whom Tradition calls the "new Eve," Mother of all the living. So in a way, all of humanity is there within her spiritual womb, following as it were, Christ the firstborn. Her role then, designated by the will of God, is to help bring these children into the family of God, whom Christ is the door and gate to. She labors to bring forth atheists, Jews, Muslims, indeed all into the hands of her Son. Those who accept the Gospel, then, are those who are "born again" and become a new creation. But for many souls, they are unaware that they have a spiritual mother who has done this. Yet, they are still saved—and they still have her as their mother. However, for Protestants, many pull away from the spiritual breast of Our Lady through erroneous and misleading teaching. This is harmful. For just as a newborn needs the special immune building ingredients in breast milk, so too we need the relationship and help of our mother to build a strong character of virtue and a humble and trusting heart docile to the Holy Spirit and the gift of Redemption. Now to directly answer your question. I believe that when Heaven sends us Mary to guide us in these days, Heaven is sending us the surest means to help safeguard our salvation at this present time. But the role of Mary is to draw our hearts toward Jesus and to place our whole trust and faith in Him, for it is by faith in Christ that we are saved. So, if one comes to this critical point of belief and repentance, that soul is on the path, whether he recognizes Mary’s intercession or not. Sincere and repentant non-Catholics who put their faith in Jesus and follow His commandments are, in fact, in the Ark, for they are doing what Mary is asking them to do: "do whatever He tells you." All that said, we live in extraordinary and dangerous days. God has permitted the Deceiver to test this generation. If one does not become like a little child, that is, listening to everything his parent asks of him, that child faces great challenges. Heaven is sending us the message that we should pray the Rosary with our Mother. It is sending the message that we should fast, and pray, and return to the Eucharist and Confession in order to receive the graces to remain firm in present and coming days of trial. If a Protestant or anyone ignores these prescriptions, which are in fact the teachings of the Catholic Church, I believe they are putting their souls at greater risk of being mortally wounded in the spiritual war—like a soldier who goes into battle with only a knife, leaving behind his helmet, gun, ammunition, rations, canteen, and compass. Mary is that compass. Her Rosary is that gun. The ammunition are her prayers. The rations are the Bread of Life. The canteen is the Cup of His blood. And the knife is the Word of God. The wise soldier takes everything. 100% devotion to Mary is 100% devotion to Jesus. She does not take away from Christ, but takes you to Him.